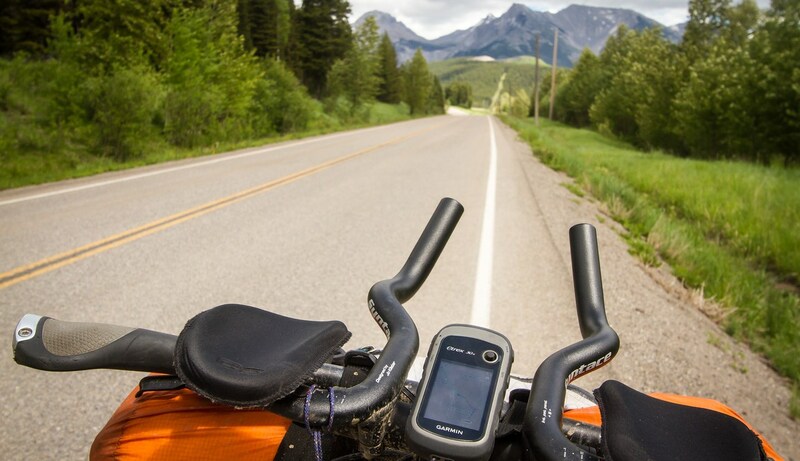 After a couple of days riding down to Fernie, my legs were still feeling overexcitable. So after a fun night staying with Katya and her family (thanks guys! 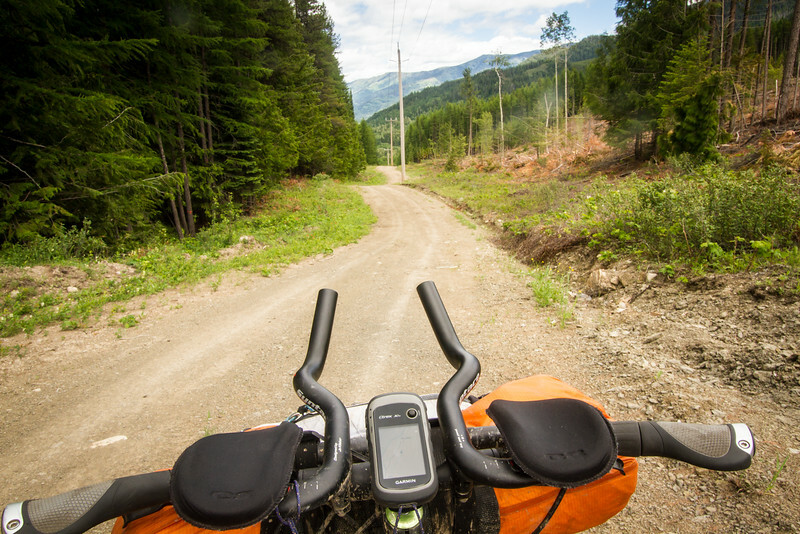 ), catching up and spending some quality time stalking Jackie in her Tour Divide attempt, I set off from Fernie along the Old Stumpy trail. From there I diverted onto a trail that ran mostly under the powerline right-of-way, through an active logging operation, and finally out onto the highway just outside of Sparwood. Far slower than riding the highway, with lots of up and down, but it was nice to be off the road. 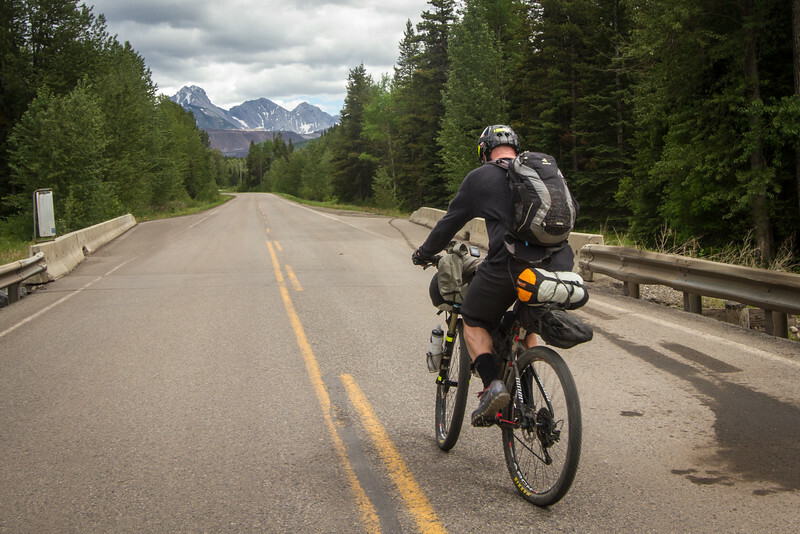 From Sparwood I jumped onto the Tour Divide route, having fun following the line on my gps, pretending I was racing. I started to run into some of the guys we’d met yesterday and the day before. They were all folks whose races weren’t necessarily going according to plan. The rain and mud and cold had conspired to make things challenging, and a few mechanicals in the mix hadn’t helped. After turning off the highway, I was presently surprised by the Corbin mine road. It was deserted! A perfect sealed road, with a car every half an hour or so. The uphill gradient was so minimal I wasn’t even sure I was actually climbing – until I turned and looked behind me. A moose, a few deer, and plenty of rodents were scampering about. After a few fun encounters, and riding along and chatting with Tour Dividers, I finally hit my turn around point. I had to be back in Sparwood to meet Kate and get a ride home. So I sadly said goodbye to the GDMBR, and turned my bike back downhill. 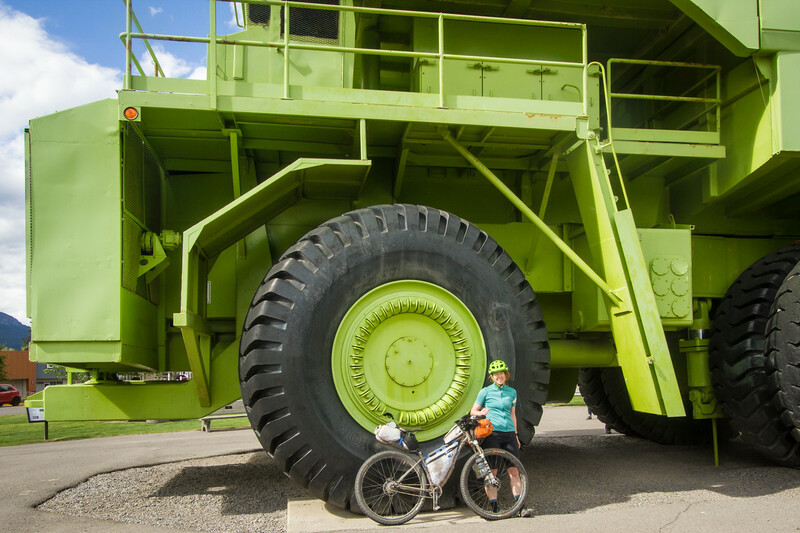 Hanging out in Sparwood, I napped by the giant green truck. I hope everything comes together for next year, I’m really looking forward to racing this route. I’m looking forward to watching your pink dot Megan. I hope it all comes together for you.